Going into the fall 2017 semester I realized that I was finishing up my second year of college and needed to make a decision. I chose to continue with my degree and transfer to UH Mānoa for Spring 2018. In the process of transferring from KCC to UH Mānoa I ran into a few obstacles, but altogether had a smooth transition. Through my own experiences, I’ve been able to come up with a few tips that I wish I had known before I began my transfer to a four-year university. Dates can easily sneak up on students when there is a semester already underway. Application deadlines, financial aid deadlines, scheduling appointments with advisors can all add up pretty quickly. When I decided that I was going to continue with my degree I knew it would be important to look at all of the transfer deadlines ahead of time. When I went through the various dates, I wrote them down on my phone so that I would not miss any important dates. By organizing my schedule the process of transferring was much less stressful than it could have been. 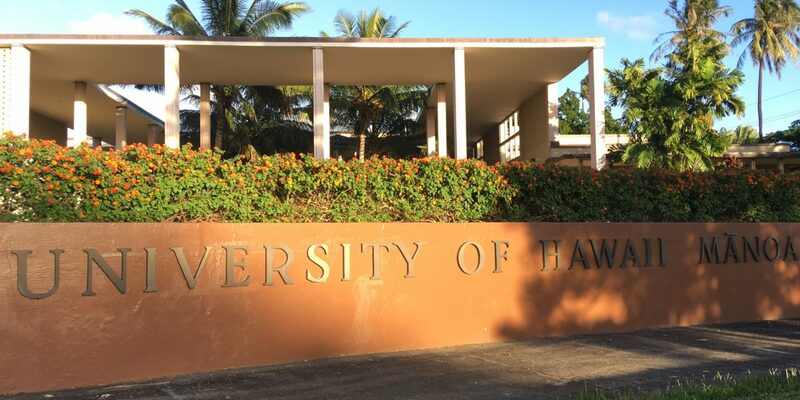 Applications for transferring to UH Mānoa for fall 2018 are due on Mar. 1. 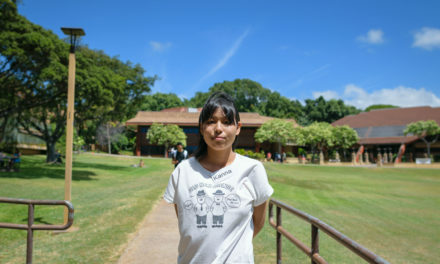 Jennifer Brown is one of KCC’s Kaʻieʻie transfer specialists for students who are planning to continue their education at a four-year college. 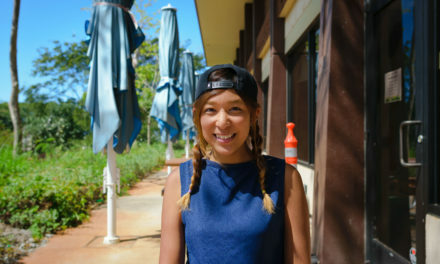 She can be found in the Maida Kamber Center, which is located in ʻIlima 104, and provides one-on-one help for students. When I met with Brown back in December 2017 she eased many of my concerns and provided helpful insight to my unanswered questions. When I told her my plan to major in Communications she took the time to map out a graduation pathway that I was satisfied with and connected me with the Communications department at UH Mānoa. 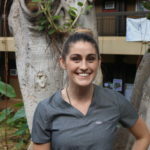 For an appointment with a transfer specialist contact Gemma Wilson at gemmaw@hawaii.edu or Jennifer Brown jb26@hawaii.edu. Financial aid is an important part of the transferring process that I did not realize until I spoke with an advisor. To save students an unnecessary amount of stress, it’s important to make sure their FAFSA is updated with the correct school that will be attended for that aid year. I had made the incorrect assumption that my financial aid would automatically transfer to UH Mānoa because it had already been processed and accepted at KCC. That was not the case and I found myself scrambling at the last minute to get my FAFSA approved by UH Mānoa. To receive financial aid for the 2018/2019 school year the priority deadline is Mar. 1. For Financial Aid assistance from UH Mānoa contact finaid@hawaii.edu. For students who decide not to schedule a one-on-one meeting with an advisor, the SOS Kaʻieʻie Workshop is available in the Lama Library. 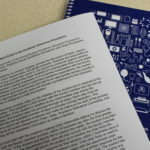 The workshop is designed to answer many of the questions that might be asked during a one-on-one meeting, and provide information about the application process. I chose not to go to one of the workshops because the meeting times kept conflicting with my schedule. Kaʻieʻie workshops are done in a group setting that can be a less intimidating option for some students. The next workshop is Wednesday, Jan. 17, at 12:15 p.m.
A great way for students to familiarize themselves with the campus they are transferring to is to attend an NSO. While attending an NSO students will get a tour around their future campus, advice from current students, and have access to the available resources on campus. This Friday, Jan. 5 from 8:00 a.m. until 4:30 p.m. UH Mānoa will have an NSO for new students and transfer students. I plan to attend so that I can meet new people and acquaint myself with the campus. 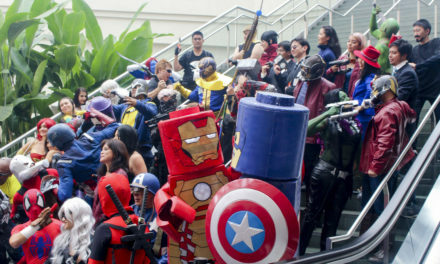 For more information on a NSO go to http://www.hawaii.edu/nso/. It is important to ask clarifying questions throughout the transferring process. There will be a lot of information and if students do not understand, it will be easy to fall behind. 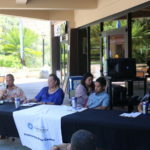 Whether students choose to meet with an advisor, attend a Kaʻieʻie Workshop or NSO, it will be the most beneficial for them if they ask questions along the way. Word on the Street: Spring Break? Emily Whitfield is a second-year student attending KCC. 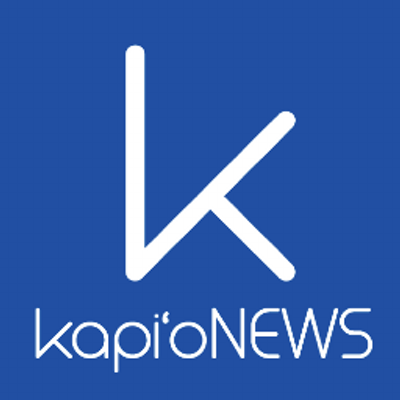 The 22-year old came to Oʻahu from Castries, St. Lucia (an island nation located in the Caribbean Sea), when her father landed a job that caused her and her family to move. 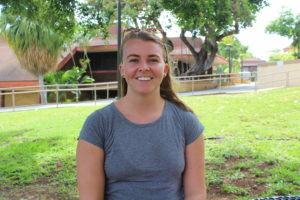 Moving from the Caribbean to California, then eventually to the Big Island, Whitfield chose to attend college at KCC to major in Liberal Arts with a concentration in Peace and Conflict Resolution. Whitfield's decision to pursue this particular field of study was because of her interest towards it, believing that it's a subject seldom discussed. "I wasn't too sure what I wanted to go into ... [but Peace and Conflict Resolution] just sounded interesting," Whitfield said. "It opens so many doors for you, so I thought it was just kind of interesting and I wanted to see what it was about." 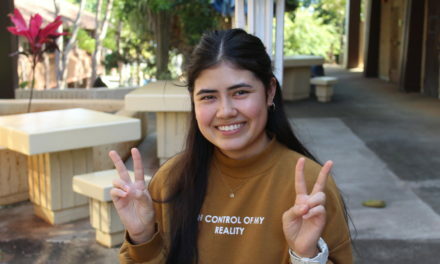 Although solving people's problems is what she said she has difficulty with, Whitfield hopes to go into a career that will be related to her major. Whitfield enjoys taking classes at KCC, expressing that she finds the campus to be laid back and "chill." Whitfield said that if KCC were a four-year university, she would choose to stay to complete her Bachelor of Arts because of the comfortable feeling that the campus already gives her.